November 25th, 2015 By: GGT Category: 2016/04 release, Figure News. 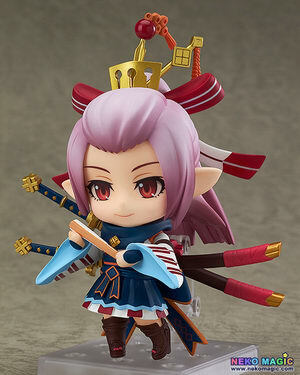 Capcom (manufactured by Good Smile Company) is going to release the Nendoroid No.587 Guildmaster ( ギルドマスター ) action figure from the “Monster Hunter” game series “Monster Hunter Frontier G” ( モンスターハンター フロンティアG ) developed by Capcom. Bundled with the “Monster Hunter Frontier G Five Million Hunters Memorial Goods” ( モンスターハンター フロンティアＧ 500万ハンター突破記念 メモリアルグッズ ). Will released on April 27, 2016. Figure around 100mm tall, 9,800 yen. 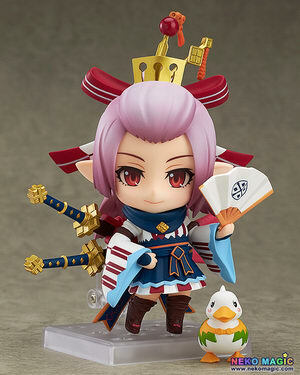 Oh man, another Monster Hunter Nendoroid bundle. =/ For more information, please visit this link http://members.mhf-g.jp/topic/5millionmemorial/. The Mezeporta Guildmaster who supervises all Hunter promotion tests. 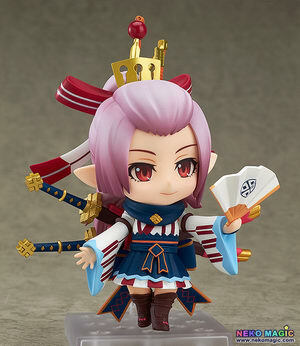 From ‘Monster Hunter Frontier G’ comes a Nendoroid of the elegant and refined Guildmaster! 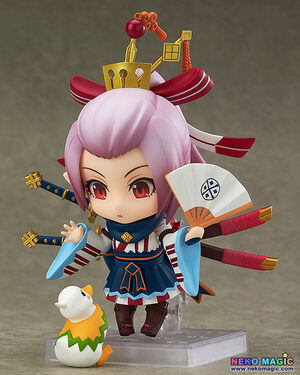 Her beautiful kimono and folding fan made as well as the charming smile on her face all bring out the Guild master’s character in Nendoroid size. She also comes with a surprised expression, which was never even seen in the game! In addition, the original mascot from Monster Hunter Frontier G – the Gu-Ku is also included! Enjoy the guildmaster in all sorts of poses, and get her ready to welcome all the new Hunters that stop by in Mezeporta! This product is included in the Monster Hunter Frontier G Five Million Hunters Memorial Goods.